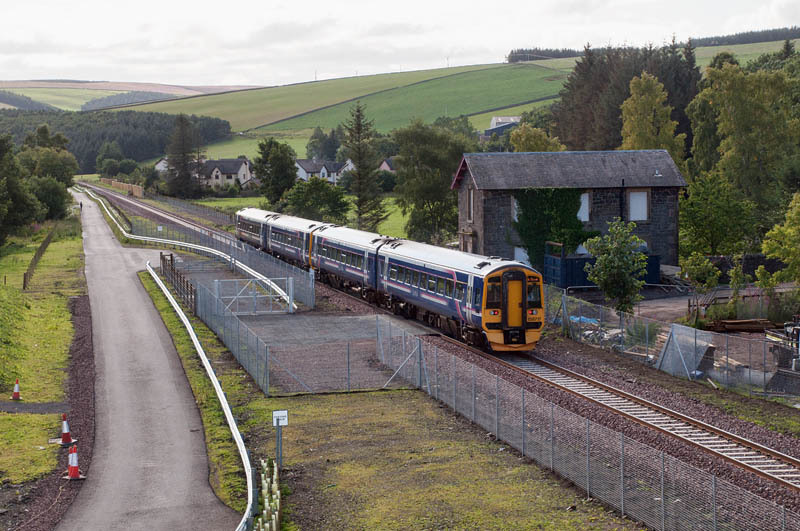 Today, trains have been running on the reconstructed part of the Waverley route, between Edinburgh and Tweedbank, a couple of miles south of Galashiels. Part of the celebration of the reopening, they were for Golden Ticket holders – local people including numerous school children. No such tickets for Geoff’s Pages. Having travelled on the last day (see “Last Day of the Waverley Route” on Geoff’s Rail Diaries), we’ll be doing our best to travel on the first public train from Edinburgh Waverley tomorrow morning; today we’ll have a photographic day out.